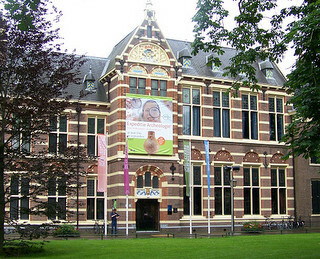 Drents Museum, based in Assen, in the Netherlands has implemented an RFID system from Motorola Solutions designed to keep track of visitors during their visit and give them detailed personalized information to boost visitor experience. For this project, the museum brought in Motorola partner Ferm RFID Solutions to install a passive RFID network comprising Motorola antenna and readers. Every visitor to the museum is given an entrance card with an embedded RFID tag. Each room in the museum contains RFID readers, which capture the signal from the RFID-enabled card to monitor the location of each visitor. Visitors can also use the card to interact and connect to computer kiosks situated in some rooms. The visitor holds their card in front of the kiosk’s RFID reader to locate more detailed information about a particular exhibit or artifact. Children are also given entrance cards that include information about their age, so when they visit age-appropriate information or games are shown on the computer screens. When the visitor returns home, they can also enter their card number into the museum’s website and see the same information again, and share it with their friends. With this real-time information, managers have accurate information about how long visitors spend in each room, which objects attract the most attention, and which information visitors look up at home, enabling them to plan future exhibitions based on sound knowledge of what visitors like.